Views of the Kennebec River, Ft. Popham and more. Quick walk to private beach. Bay Point Annie's is a modern well appointed cottage. Sleeps 6 - 8. 2 Bedroom, 2 Bathroom. Full kitchen with dishwasher and gas range. Washing machine and dryer. High end furnishings. Great yard and views. Wrap around deck. Perfect place to get away from it all in highly desired Bay Point. Private beach within walking distance. Five Islands, Reid State Park and Bath within 15 minute ride. Freeport outlets within 45 minute ride. After a fast-paced career in corporate America, we've become entrepreneurs. We have a women's boutique in Freeport Maine (New Beginnings 27 Bow Street) and Bay Point Annie's in Bay Point, Georgetown ME. Our family has a long history with Bay Point which connects us to our grandmother who visited as a young woman and has friends and family in the area today. When I was a child a close friend of my grandmother's lived on the land where you will find Bay Point Annie's today. This woman was named Ann Trainor and she was an honorary mayor and sheriff. The name of the cottage honors this proud history as well as current passion we share for the area. Unique to sought after Bay Point this property offers convenient parking for two vehicles, a large grass lawn for yard games, great views and quick access to a private beach. This is a well appointed cottage with high end furnishings. The cottage was built in 2010 and enjoys an open concept with modern architecture. The cottage was designed to take in the natural beauty and quaintness of Bay Point. High end furnishings, Parking, Well-appointed, Large Lawn, Water Views, Short Walk to Private Beach, Quick drive to 5 Islands, Reid State Park, Bath & Freeport. Enjoy golfing in Bath, Shopping in Freeport, and fine dining in Portland. toilet, combination tub/shower, Downstairs. Contains washer/dryer. Master 3/4 bathroom upstairs (toilet, sink, shower) off bedroom. One full bathroom downstairs with tub, shower, toilet, sink, washing machine and clothes dryer. View from cottage of Fort Popham and where the Kennebec meets the Atlantic. Private sandy ocean beach within walking distance. Close to Five Islands and Bath. 30 Minutes drive to the shopping outlets of Freeport. Views across the Kennebec to Popham Beach. Short walk to private sandy beach. Views of the Kennebec River and Popham. Quick walk to private sandy beach. Open concept with gorgeous furniture and sleeper sofa. Gorgeous large lawn. Chairs and fire pit provided. One flight of stairs required to access living areas. Once to the living area, kitchen, bathroom and bedroom on one floor, master bedroom/bath one flight higher. Safety equipment includes fire extinguishers, carbon monoxide detectors, fire detectors. This home is very clean and very well equipped. Beautiful waterfront visible from the house and the deck. I highly recommend it as an ideal spot for a retreat from the frantic pace so many people live and work in these days. A bit of a drive to shopping and tourist spots, but the scenery along the way, especially in the fall, makes it worthwhile. You'll enjoy privacy and convenience in this lovely home. they worked perfectly and were life savers! Things to know: bring bug spray as this is Maine and no matter where you are you may need it (but we used the deet-free kind and were fine so its not crazy!) This place was great enough to even provide wood for the fire pit and smores sticks! There is a great little country store up the road about 7 minutes and they have a good supply of things you may need (one thing I love about Maine that out-of-stater's may not know: you can buy wine at ANY small town store!!! so there are never any worries about having to fidn the closest liquor store, and its cheaper) There was a lovely breeze every night that kept us cool and we enjoyed two fires in the fire pit with enough chairs for all of us! Just a short drive to Reid state park for fantastic waves! and only a 40 minute drive to Popham beach for a walk to the island, hermit crab catching and building with driftwood (as well as more waves). Only a short 50 minute ride to Boothbay Harbor for delicious seafood and ice cream and cute shops on our one slightly overcast day. This was the best family vacation we have ever had and the kids cannot wait to come back! Thank you so much for taking the time to write a review. We are so happy you enjoyed your stay. We hope to have you back again! Well kept, great view, close to the beach. When choosing a house to rent, I wanted a place that was close to the beach, but also roomy enough for rainy days. This cottage was perfect. The cottage had a wagon for the beach, games for the kids, DVDs, everything we needed. On sunny days we walked to the beach. The kids swam, found sea glass, we even had a visit from a seal! Reid State Park is amazing, we visited 3 times using the pass provided. And when it rained, there was enough room for my kids to play in their bedroom or the living room. Highly recommend! Thank you for taking the time to write a review. Thanks for staying at our cottage. We appreciate you and your feedback! very clean, a welcome note and stonewell kitchen pancake mix and real maple syrup jug and all the fixings for smores to make out on the fire pit. right by the bay, beach 5 min. walk, movies to watch, 500 piece puzzle , didnt have to pack towels & linens. washer & dryer, dish washer, and food to make and spices to cook lobster or whatever, house supplies were perfect, would recommend this house to any family, couples, whoever! Thank-you Annie for making the house so special! Just wanted to add the sunrise & sunsets were breath taking! Thanks for taking the time to review Bay Point Annie's! We enjoyed having you stay and appreciate the great shape you left our cottage home. We would love to have you back again. Enjoy the rest of your summer and thank you again! Beautiful location and very well-appointed cottage. A truly magical spot! Bay Point Annies is a beautiful cottage with all needed amenities — and a view of the water both inside the house and outside on the lovely deck. Walking distance to the beach with a seasonal pass to the local state park included, too. And we were greeted with the makings for s’mores :) All in all, we loved our stay there. Thank you for reviewing our cottage. It was a pleasure to have you stay. Consider us for your future vacation needs. Enjoy the rest of your summer! Thanks Andrew. We appreciate your comments. We are glad you enjoyed your stay. Thanks too for leaving the cottage in great shape. Our neighbors enjoyed meeting you. Hope to host you again some day! 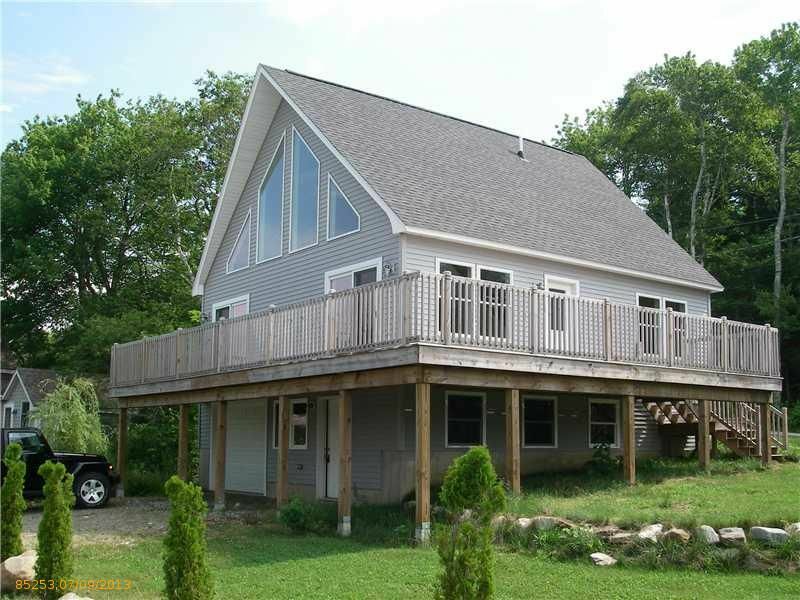 Quick access to picturesque Five Islands, Wiscasset, Bath, Freeport and more. 10 Minutes to Reid State Park and quick walk to private beach. No Pets. 50% paid at booking, 50% due 30 days before occupancy. Rental agreement must be signed 30 days before occupancy. Refundable damage deposit of $400 is withheld for cancellations within 30 days of scheduled stay. $200 is withheld for cancellations 31 days or more ahead of scheduled stay.